We are a family run party bus hire and luxury travel company with over 15 years in the party bus hire industry around Essex, London and Hertfordshire. We can chauffeur your party in style to celebrate your special occasion. Our party buses are a way to travel in style for groups of up to 22 people. We are fully licensed and insured for all bookings. Our spectacular 16 to 22 seater party buses, party coach, limo bus, fun bus have everything you need for a fun celebration. Our packages can be tailor made to meet your requirements. Our services cover one way trips, return trips, cruises or continuous hire. The vehicles come fully decorated to suit your occasion. Our team of professional chauffeurs are smartly dressed and are highly experienced. 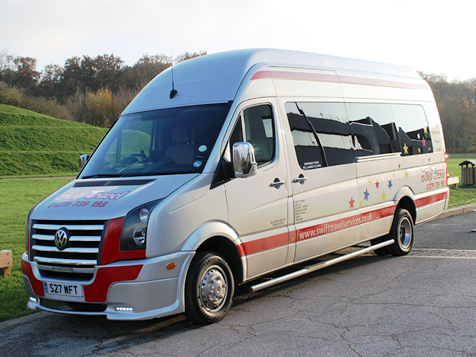 Our vehicles are the perfect way to enjoy hen & stag parties, prom & school leavers, birthdays, race meetings, weddings, sporting events, corporate events and all special occasions. At Swift Travel we pride ourselves on delivering a reliable and professional party bus service at the most competitive price with attention to detail. Thinking of a night out in Essex, Hertfordshire, Suffolk, Kent, Cambridgeshire, Sussex, Surrey or London? Then contact the friendly sales staff for an unbeatable price. Perfect for a wide range of special occasions for groups of up to 16 people, including birthdays, weddings and stag dos, our party bus can get you to your destination whilst providing you with a great variety of entertainment to ensure your night starts off with a bang! Available in the London and South East area for groups of up to 8 or 12 people. 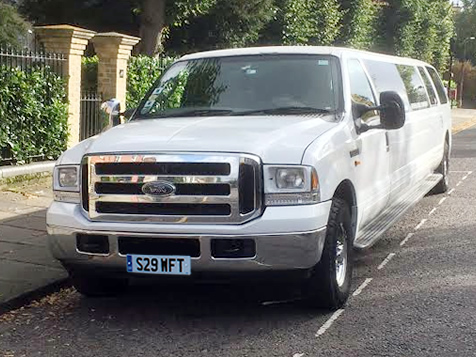 If you are having a special occasion just get in touch for a limousine in Herts, Essex, London, Suffolk, Sussex or Kent – our drivers are all there to get you to your destination, not only in good time but also in good spirits! Find us on Facebook and Twitter! Like and follow us on our Social Media channels to stay up to date with the company, view our latest testimonials and see our recent photos.